In Paris, it is common to see baguettes peeping from underneath peoples' arm. Women tend to cradle them like babies while Men hold them like clubs. The baguette, which means "wand" in French, is an integral part of French life. It is said that the Baguette owes its origin to Napoleonic campaigns. Napoleon knew the dangers of hunger which led rise to revolutions (Le Petit Francais,2014). After Napoleon seized power, he was determined not to make the same mistakes made by his predecessors. His government issued decrees that established standards for French bread, specifying ingredients and baking methods. The French has even passed a law, Décret Pain, which has strict regulations regarding "French bread Tradition". According to the decree 93-1074, the French Baguette Tradition has to be made only from wheat flour, water, salt and yeast. I decided on Eric Kayser, a chain bakery, as it was near the Musée D'Orsay. Time is precious to a traveller! When inside, you will be greeted by the warm smell of baking bread. 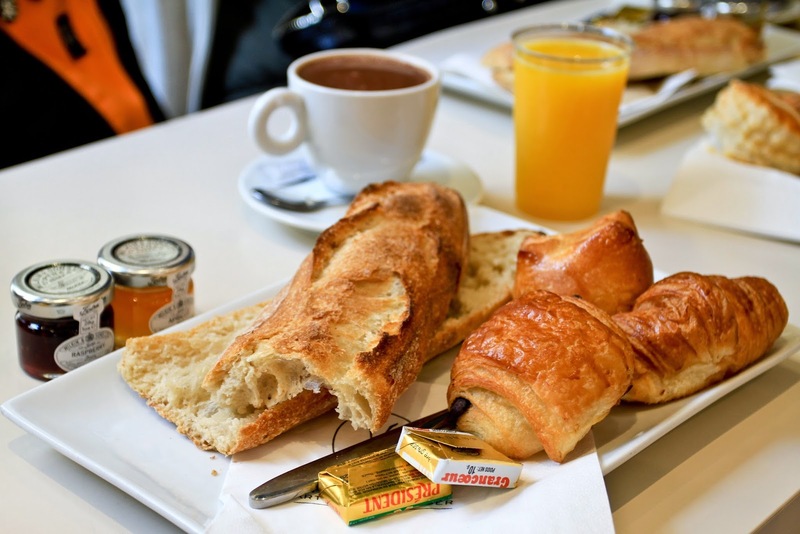 Each of us ordered the Degustation menu (10.00€/S$17.40) which comes with one hot drink, one cup of fresh orange juice, 3 small viennoiseries﻿,﻿﻿﻿﻿ half baguette, butter and marmalade. The Baguette had a great crusty exterior and extremely fluffy with large, irregular holes which formed from natural fermentation. MUST TRY. Viennoiseries (French etymological sense: 'things of Vienna') are made from yeast leavened dough in a manner similar to bread, but with added ingredients to give them a richer, sweeter character. Some examples of Viennoiseries are the croissant, pain au chocolate and pain aux raisins. Having mini viennoiseries included in the Degustation menu allowed one to try more of Paris' iconic pastries! The croissant is amazing with a thin, crispy, flaky exterior and pure butter bread in it. MUST TRY. Giant loafs of bread on display! They were as big as a pillow. Why do bread have holes? The holes are formed during yeast fermentation. Yeast are colourless fungus creates energy for themselves by converting sugar to alcohol and carbon dioxide gas. The carbon dioxide gas produced are held in fat pockets (gluten and starch) which makes the baked product rise. They eventually form the holes found in your bread. The reason why you do not taste the alcohol is because it would have evaporated off during the baking process. No they aren't and they usually priced around 1€. How do you know whether a Boulanger is good? 1. Follow the "Grand Prix de la Baguette de Tradition Française de la Ville de Paris", which translate to the "Best Baguette in Paris" contest, is held annual to decide who will deliver their baguettes to the Elysée presidential palace every morning for a year. Baguettes have to be of the correct size (55-65cm), correct weight (250g - 300g), and does not contain more than 18 g of salt per kilo of flour. If the requiurements are not met, the baguettes will be rejected. However, the winners' stores maybe hard to reach. 2. 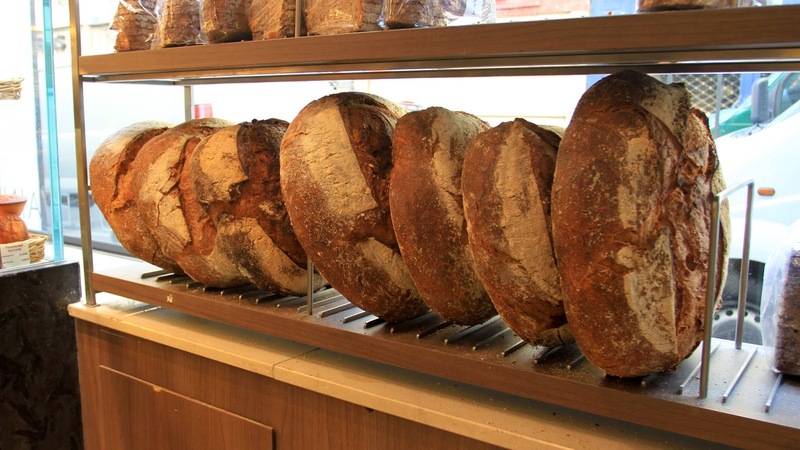 It has to be called an "Artisan Boulanger", a bakery that makes their bread on the premises. 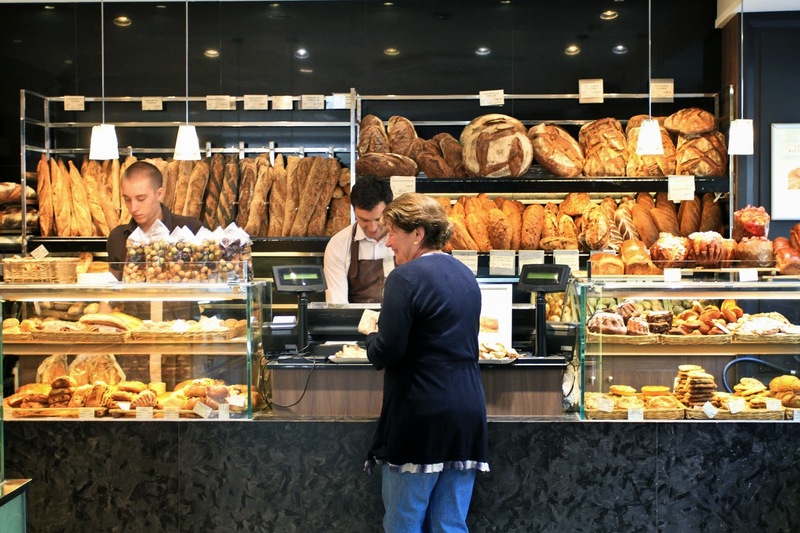 In contrast, a "Dépôt de pain" is a store which sells bread that is delivered to them either frozen or cooked. A more convincing sign would be a small yellow and blue sign raeding: "Votre Boulanger, Un artisan authentique", which means your Boulanger is an authentic artisan. 3. A very Singaporean Tip. When you see a queue, just join in. 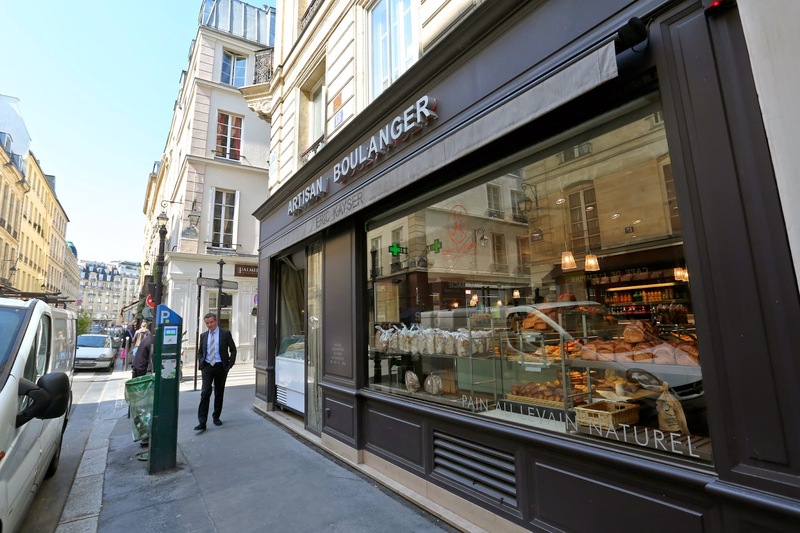 You hardly go wrong as there are plenty of Boulanger in Paris. Having long lines out of a Boulanger must mean something.